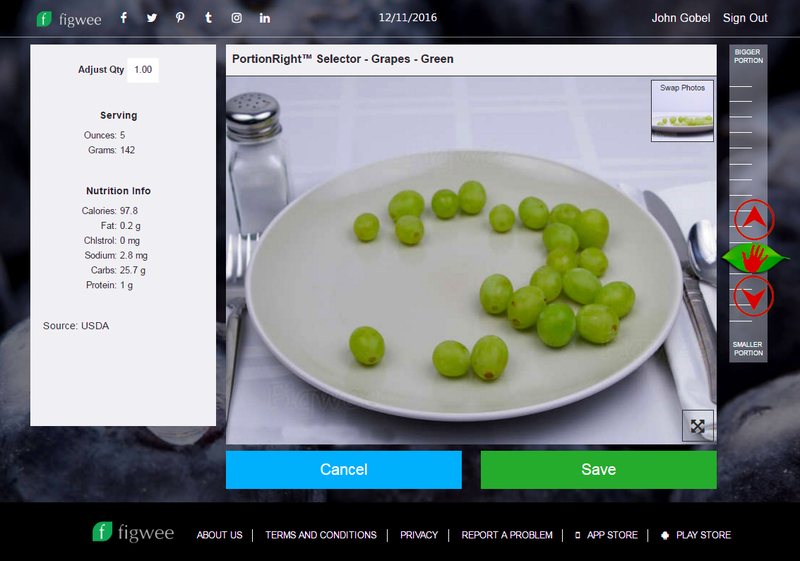 Figwee is a photo based calorie counter. the easiest and most accurate you'll ever use. If you have tried other counters and stopped using them, we know why. People are visually oriented. Figwee is the only solution to utilize this fact. Instead of clunky text, Figwee uses pictures of real food in incremental portions. Pictures make it faster and take the guesswork out of portion size. 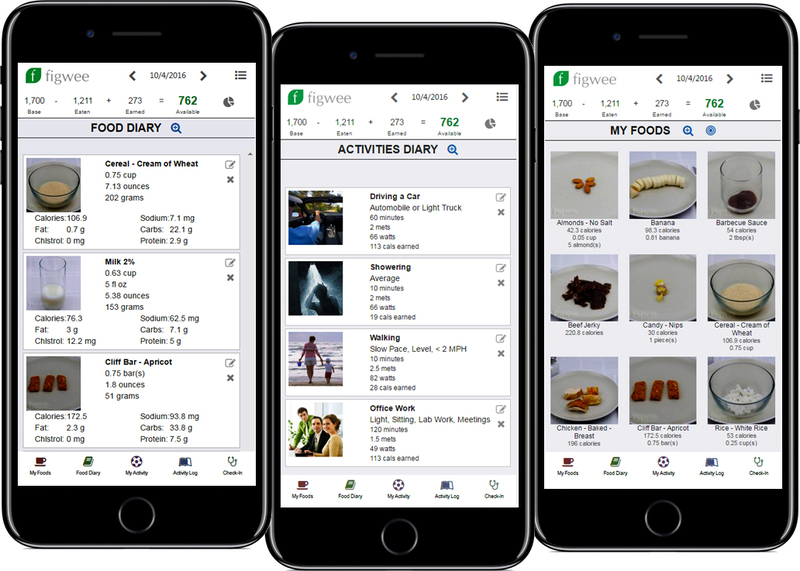 By far the most important thing you can do to control your food intake is to log it. But very few people will search through a hundred text results for cheddar cheese. The exact brand of cheddar cheese isn't the issue. The correct volume is the issue. If you have eaten it, we've got it as a baseline food. Anyone can use Figwee. 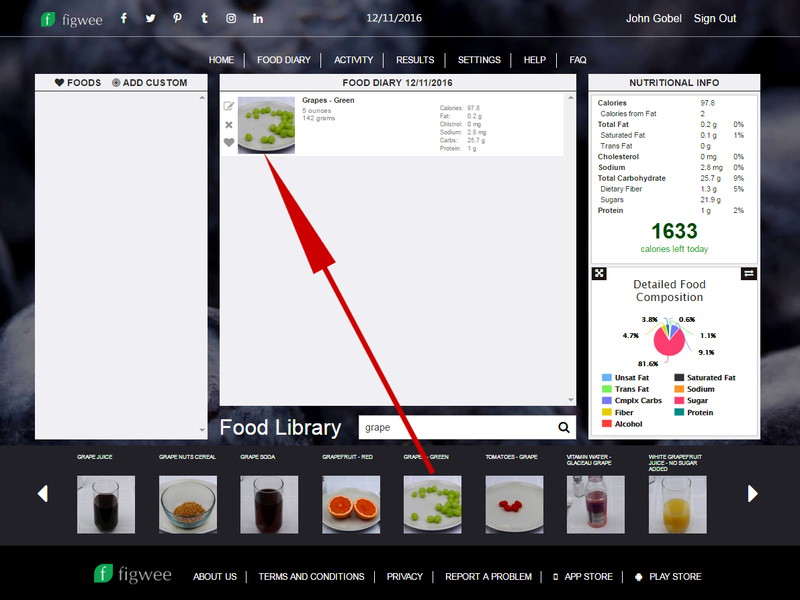 We'll show you how easy it can be to track food in our desktop version. The mobile versions have the same functions. 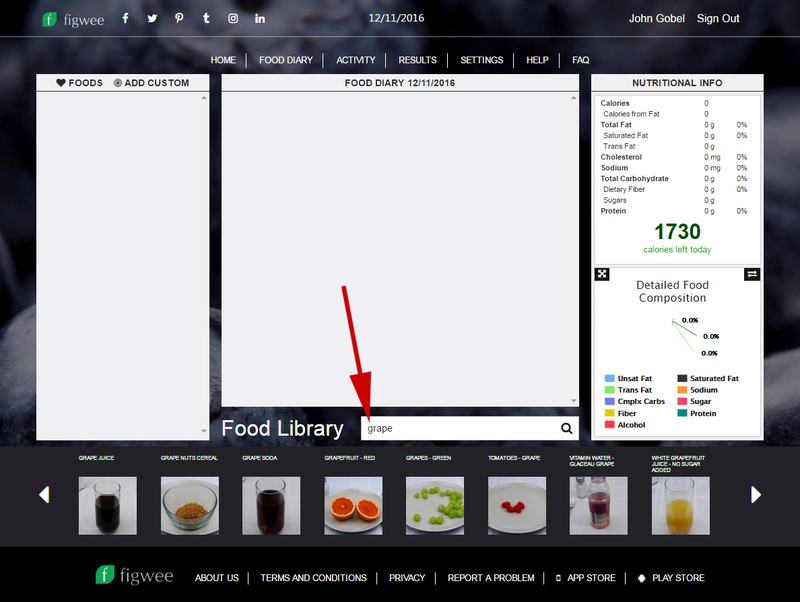 Type in the food you ate or want to see. 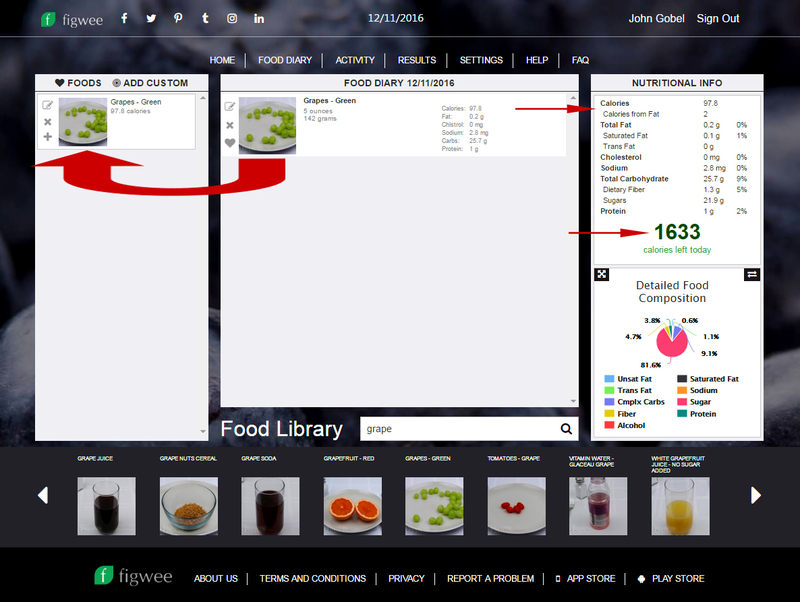 Drag the result you want into the Food Diary, let go, and click on edit. Grab and move the leaf slider up and down to change the portion and press save. Done. You can move it to My Foods to always have it at the ready. The items in your diary are accounted for. It works the same with activities. There are tons more amazing features, too many to show. Try it and you'll see. The mobile and desktop versions link and you can use either one. You can get the mobile version from your phone's store for free. Get it today and change your life for the good.